Another few more days, and we are entering into the Lunar Calendar Year of the Rabbit for this year's Chinese New Year!!! I'm so excited and I'm sure every Chinese are too!! 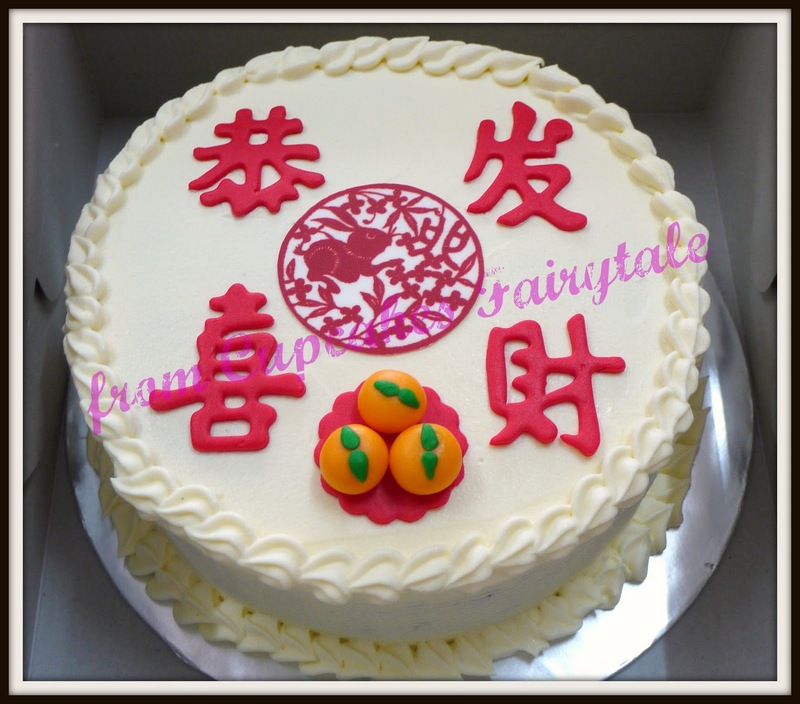 Yvonne ordered from Cupcakes Fairytale a "Carrot Walnut Cake with Rich Cream Cheese frosting" for her family this Chinese New Year. Here's wishing you , Yvonne and your family a "Happy Chinese New Year with the best of Health, Happiness and Prosperity all through this year! !